Our apartment is located 15 minutes from Alicante airport but far enough away not to see or hear it. A two bedroom 1st floor apartment located on the Novamars (The posh ones) at the foot of the Gran Alicant Hill and close to arguably the best beach in the area. With a double bedroom and a twin room with additionally two put up beds in the living room sleeping 6 in total. It has a fully equipped kitchen with washing machine, fridge freezer, microwave. UK TV, DVD, radio, books, air con included. The bathroom has bath and over shower. The apartment has a external balcony(safe for kids)over looking the pool to the side and luxurious shared garden surrounding. The pool has two plunge pools and showers (This was the show complex). Two minutes walk away is a parade of shops and restaurants. Supermarkets are a 5 minute drive away or use the frequent Gran Alicant bus. The beach is gently shelving and sandy and is great for families and is 6 miles long! Lifeguards and cafe in the summer months. Please note there is a 45 euro flat fee for cleaning irrespective of the length of the stay payable locally. Please take a look at our feedback. Great Beach. Great Access. Highly regarded urbanisation based at the foot of the hill, not the top which means beach access is easy. A great urbanisation with a quiet internal view away from the road. Great pool. Bathroom with bath/shower over. Bidet, WC sink mirrors etc. Double sofa, two put up single seats, soft lighting. Pine dresser with library and games. TV (British Channels), DVD, MP3 player, radio including dining table and chairs. Air conditioning unit. The Alicante courses are about 20 minutes away. There are other courses 1 hour away. Sailing tuition on the Beach. Overall a really nice apartment which is well furnished, although maybe could do with some updating in places. Mark has been excellent in messages and information a top fella. Brilliant chairs for the beach and trolley really nice thoughts to help ease the beach days. Close to some lovely non English restaurants, as does have an ex pat feeling in some places. But we kept to the Spanish places as nicer feel and some top food, especially Maykas. Complex was quiet when we went as late in the season but more than enough open to keep us happy, some great walks had and enjoyed. Santa Pola on the local bus was dead cheap and well worth a visit to chill in the marena area and watch the world go by. Nice place and enjoyed the quiet break cheers. Spent a week here could have stayed longer. The location is excellent 15 mins to the airport. Bars, restaurant and shop less than 5 min walk away the beach 10-15. The apartment was perfect everything you could ask for and the pool area was lovely and not too busy. Communication with Mark was always very prompt and helpful. Would highly recommend this apartment and area and would not hesitate in returning in the future. Beautiful gated complex. Pool is 15 yards away and can be seen from the apartment. Complex of Bars and Restaurants are literally a 2 min walk.Cant fault the apartment or the owner Mark. A gent and very helpful every step of the way. Please note, if you have small kids you might want to consider renting a car as public transport is not great in the area. A tourist train passes at quarter past the hour traveling around Gran Alacant and travels in one direction only. So to come back you have a 40 min drive. Okay the first couple of times but not every time. Ideal location for a bit of peace and quiet. Great location. 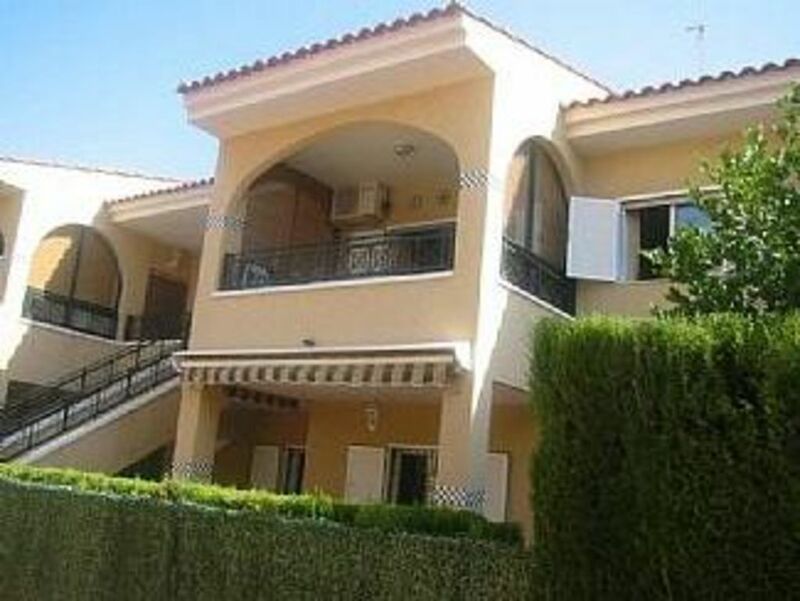 Quiet position but close to restaurants, bars and shop.Well equipped apartment. Lovely apartment, spacious, well equipped and clean and tidy. Stunning pool and complex generally. Mark is a fantastic owner, at the end of the email to answer questions . Second time staying here and will definitely be back. Great apartment in a nice, quiet location but very close to bars and restaurants. We have just returned from a short stay at this apartment in Santa Pola, which is only a short drive from the airport. Located on a quiet complex, the apartment was compact and had all that is required to cook indoors, although bars and restaurants were located only a couple of minutes away if preferred. The apartment overlooked a lovely swimming pool, alternatively there is a fantastic beach a short walk away. Families with small children may need to drive, but there's ample parking and the apartment has umbrellas etc. Thoroughly enjoyed our stay and would definitely consider staying there again in the future. The Santa Pola Sailing school on our beach, offers tuition in sailing, wind surfing, sail boarding, kite surfing etc. Prices etc on request. The large nature reserve with walking trails and hides is a short 10 minutes walk away. In the distance behind Alicante is a Mountain range with great walks and waterfalls and rock pools for swimming, several open to the public in summer months. The local are is great for wildlife with country parks nearby. The blue flag winning Carabassi beach is a 5 minute walk away. It is a large sand beach with dunes. It is 6 miles long and gently shelves. There are life guards and a cafe operating in summer months. Car parking nearby for the relaxed! Alicante airport is 15 mins away. Valencia Airport is 1 hour 30 mins away. The Madrid motorway is easily accessible 4 hour drive. Barcelona is a 4 hour drive. Santa Pola a fishing town is 15 mins away. Alicante town is 20 mins away. The whole of the Costa Blanca is within easy reach by local roads including Benidorm 30 mins (lively), Altea 40 mins (rustic) and the theme parks of Terra Nova and Terra Natural 30 mins. There are a number of water parks and other attractions a short drive away. The small town of Los Arenales is 20min walk and has a promenade, restaurants etc. Locally there are a number of restaurants and shops - a 5 minute walk away. Larger supermarkets are a 5 minute drive or accessible by the local bus or regular tourist train.